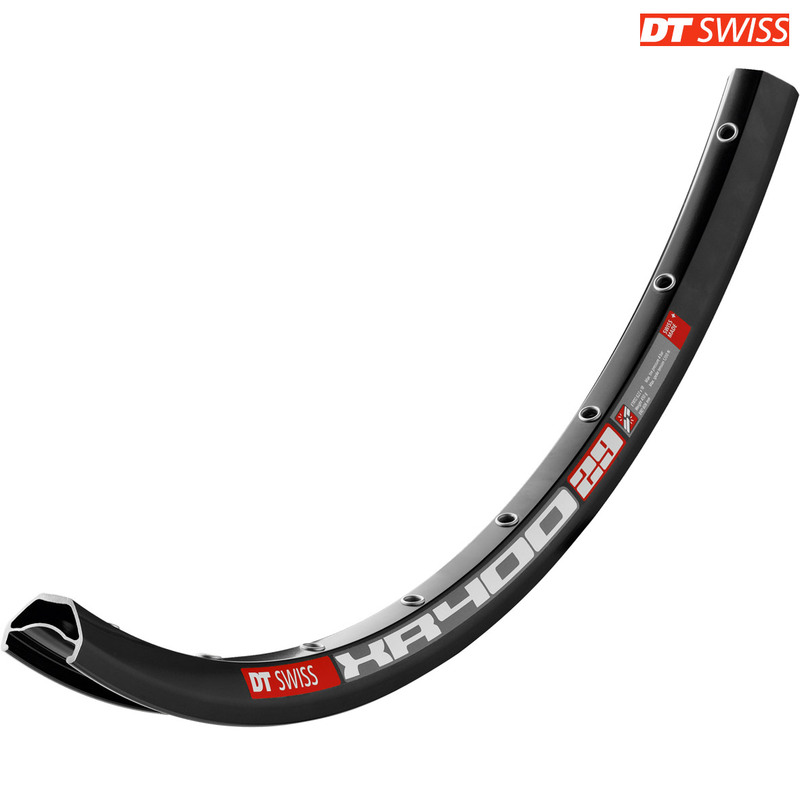 - High performance cross-country rim designed to DT Swiss' exacting specifications. - SBWT (Strength Boost Welding Technology) creates a perfectly welded join for a durable, reliable rim. - Machined join & disc specific rim profile add strength & durability to this high quality, super-stiff Cross Country rim. - Perfectly aligned stainless steel spoke eyelets distribute stress evenly, allowing for 4% higher spoke tensions than conventional rims. - Higher torsional rigidity due to optimised rim profile. - Unique process for the black coating produces a tough & durable finish. Suggestion on a General Purpose Rim. Could you please suggest a disc brake rim and hub for general purpose road use and touring with a tent. Do i need 36 spokes or will 32 spokes be enough. I weigh in at around 80kg. I'm assuming as you have left this question on a 700c rim that that is the size you need. We would normally recommend the DT Swiss TK540 disc rims for touring use built with either a Hope disc hub or a Shimano Deore XT disc if you're looking for a slightly lower cost option. A well built 32h wheelset will normally be pretty strong, but if you're going to be carrying quite a bit of weight when touring then a 36h set will give you a little bit more strength.